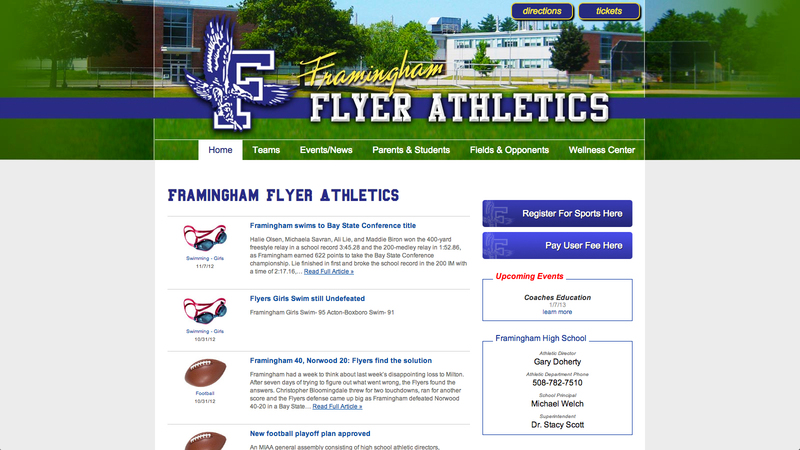 The Framingham Flyers athletic website was designed to serve as a hub for student athletes and parents alike to be able to easily connect with the information they are looking for: schedules, directions, policies, etc. we even built them an advertising system, historical archive and a voting tool for flyer of the week. Visit this Framingham High School Athletics website.